Yes, it’s been five years since Inception first lit movie screens. Well, plus about a month and a half. It has stayed fresh for us, without a sequel or rumor of one, the whole time. This happens with a movie of such caliber. In fact, I believe Christopher Nolan’s Inception to be the best film ever made, an example for all other movies to follow. You may not agree to such extremity, but most of you will agree that it was an extraordinary work. What we need to figure out is why. Let’s take a closer look at the movie of our dreams. There will, of course, be spoilers, so if you haven’t seen it, please go watch the movie now. Seriously. Right now. Nolan starts with an interesting, unique concept. He’s not the first to explore a dream world, but shared dreaming and dream crime is, to my knowledge, something wholly new. This originality carries throughout almost every aspect of the film. This never happens anymore, especially in speculative movies. Every movie is either based on a previously told story or inspired by it. Even great movies. Equilibrium, for all its low-budget brilliance, is a rehash of dystopian tropes with fight scenes from The Matrix. Firefly harkens back to an earlier space western, Star Wars, which took shape as the result of everything from John Ford’s westerns to Buck Rodgers to Akira Kurasawa’s The Seven Samurai. Now, put Inception under that microscope. It’s a bit film noir, sure, but isn’t specifically The Maltese Falcon or The Third Man. There’s definitely some sci-fi, and the characters do enter an artificial world together, but this isn’t much like The Matrix at all. There is plenty of action, but the mix of styles is too eclectic to pin to a specific source. (Do any other action movies combine Chinese wire-fu with Ronin’s brutal car chase?) Inception remains one of the most original big budget films of our time. But you can’t just build brilliance on a cool what if and finely crafted action. You need interesting characters, and here is where Nolan goes next. As we get to know Cobb, our protagonist, we begin to support him because he’s a skilled, plucky thief just trying to get by. He has a unique set of skills and it’s a joy to watch him at work. But immediately, from the very first sequence of the film, we know there’s more. Cobb wakes up mysteriously on a beach, and we’re treated to a baiting sequence of his opening conversation with Saito before slipping back to a time when everything was going according to plan. And as we see him infiltrate Saito’s mind, we meet Mal, a mysterious, beautiful woman with whom he has some history. We’re given a taste of his depth, but only just, and then he’s back to work. Throughout the film we continue to uncover more about Cobb and his tragic past with Mal, the information meted out through a slow syringe almost until the very end. We’re still learning about Cobb in the final ten minutes of the movie. Nolan’s choice to let his protagonist keep secrets from the audience is a brave one. Few storytellers do this well. Either we give too much away and the audience figures him or her out early, or we hint too subtly and the audience doesn’t even know they were supposed to be wondering. Cobb is a man of complex morals. He’s a loving father and a grieving husband, but keeps a life of crime, refusing to walk away on grounds that it’s the only way he can make money, yet we get the impression as the film progresses that he loves what he does. He is flawed, dishonest, and heroic. He is multidimensional. This is also difficult to master, but Nolan nails it. We know this because his supporting cast is so minimal. Aside from Mal and Cillian Murphy’s Robert Fischer, we see virtually no backstory from any other character. This doesn’t mean they’re not believable or well rounded. It means that we get everything we need about these characters from their handful of scenes. Saito is a cunning, cutthroat businessman, letting a thief audition by trying to steal from him. Ariadne’s quick embrace of the dream world shows her above average intelligence, and through she runs at first, vulnerable, her creativity overcomes her fear. Eames and Arthur clearly have a previous chapter that did not end on a harmonious note, and we meet their oil-and-water personalities in their arguments and jibes. Yet this supporting character development is all kept on a simple level. None of it encroaches on Cobb’s external, legal struggle or his internal pain. We focus on this. Nolan mashes us against that pain like a piece of chicken against the lid of a George Foreman. He has always done this well, and usually with a similar theme of getting home, back to the protagonist’s loved ones. Memento, The Prestige, and even the Dark Knight trilogy carry this theme strongly. Interstellar is almost exclusively about the pain of being separated from the ones we love. It’s something we all understand, something we’ve all experienced and remember, and Nolan counts on it. We may have needed to screen Inception five times before we fully understood the plot intricacies, but we understood the conflict right away. We are emotionally entangled with these characters before ever we find them in their most dangerous perils. Then Nolan backs them, and Cobb specifically, into a corner. If they can’t accomplish the Fischer job by the time their plane lands in LA, Cobb will go to prison for the rest of his life. But no, the movie says, we must go deeper. At the final level of suspense, at the deepest level of the dream, if Cobb cannot get Saito to wake, they’ll be trapped in insanity forever. Everything is on the line. By the end of the film, the entire plot is perfectly hinged on Cobb’s willingness to find closure on the death of his wife. His life and his future literally depend on his ability to overcome his internal struggle. This is the crux of all plot. All storytelling relies on this principle. A character must face his inner demons before he can defeat the soldiers charging his way. It’s nothing revolutionary. Yet Nolan sharpens it for us. He surrounds us with unforgettable scenery, a knotwork of intricate plot, and basso profundo in spades, and then strips it all away in one small-scale, searing scene to remind us that we’re really just here to see what happens to our hero. Nolan’s a master of this emotional investment, but he is a doctor of pacing. His films remind me of an old Lotus race car. In the 1950s and ‘60s, Lotus founder and head Colin Chapman had an obsession with making his cars as lightweight as possible. His mantra to building a better car was to “simplify, then add lightness.” To this end, he strove to give every part on his cars “at least two jobs.” For example, the engine became a structural support for the car. The engine was strong enough, after all. Why add extra weight with a superfluous support? Needless to say, Lotus’ racing efforts of that era were outrageously successful. In Inception, no line is wasted. No shot is there just for you to enjoy. You can enjoy them, but you also learn something about the plot or the characters or the action. Every scene, sequence, and shot serves multiple purposes. One scene features Cobb and Ariadne sitting at an outdoor cafe in Paris, while Cobb explains to her the 101 of shared dreaming. Many storytellers would stop here. Ariadne would be the “apprentice” character who mostly exists to soak up all the expository dialogue so the director, through the “master” character, in this case Cobb, can tell us, the audience, how things work. But Nolan goes further. The cafe scene turns out to be Ariadne’s dream, and we experience first hand how smoothly Cobb and his team can slip into a mark’s sleeping consciousness without her knowing. But there’s more. Ariadne’s realization that she’s dreaming causes the world to implode, showing us what happens in that case while treating us to a visual spectacle. Upon waking, she displays her courage by immediately wanting to go back in, and once back in the dream, we get more insane visuals and discover more about Cobb’s past. In that five-odd minutes of film, we get as many key pieces of information about the story. We want to pay attention because we care about the characters, but we’re also forced to pay attention because we know we might miss something. Or take the opening sequence, which explains the concept of Extraction, introduces several key characters, and offers up some smooth, gripping action, all before bringing in the faceless henchmen of Cobo Engineering, who hound Cobb all the way to Mombasa and illustrate the cold wind, how lonely and hunted he is in the wider world, away from his country and family. 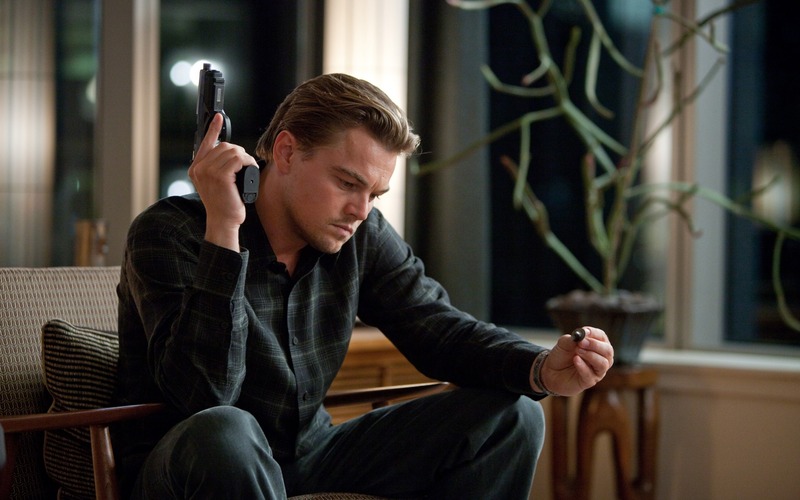 Inception is also shot through with mystery, another of Nolan’s favorite weapons. With each new scene some of our questions are answered, but more are asked. What is the significance of the train? Why is the whole movie in a flashback? Why is Mal so full of vitriol? Few currents pull us more strongly through a story than mystery. What Nolan accomplished with these key tools- empathy, tension, pacing, and mystery, is nothing short of miraculous. With a box office of over $800 million worldwide, Inception may be the highest grossing “deep” movie ever made. Not only is the plot nearly Primer-impenetrable the first time through, it’s also laced with heavy questions about the power of ideas, the weight of grief, and the depths of corporate espionage. It wonders what happens in the furthest shadows of the human subconscious. So how did Nolan slide all of this into a $160 million, popcorn summer blockbuster? How did he trick us, the excitable, slavering masses, engorged already that summer on Iron Man 2, The A-Team, and Prince of Persia: The Sands of Time, into seeing the most artfully complex and philosophical movie of the decade? Two words: Awesome action. Somehow this heady psychological thriller includes: A freight train plowing down a busy street, several gunfights, an attack on a military snow base to rival the greatest G. I. Joe fantasies of the average 10-year-old boy, a sudden grenade launcher, a Humvee on snow treads, a shotgun-wielding man on a motorcycle attacking a van, myriad huge explosions, and the city of Paris literally folding in half. 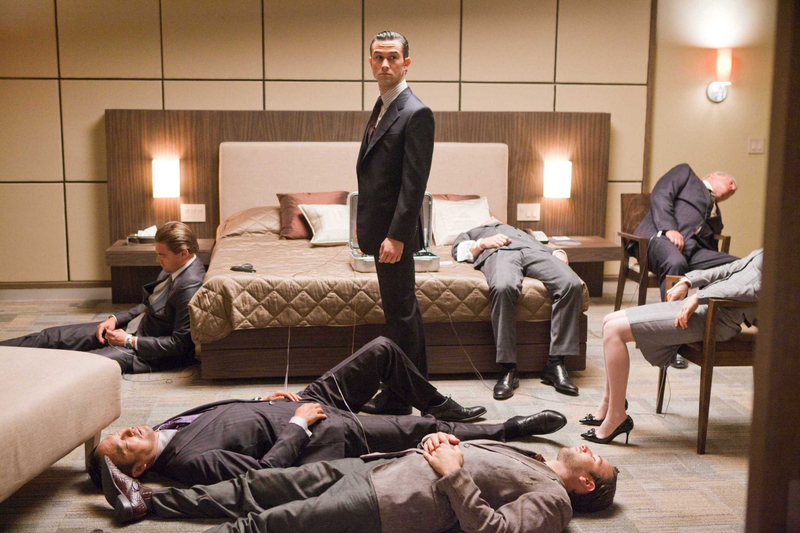 Is Inception, then, an action movie, or is the action just a vehicle? Themes in action movies are never this complex. Die Hard’s John McClane is a simple man who just wants his family safe. John Wick is about revenge. Even the new classic Mad Max: Fury Road is just a big chase scene. None of this is criticism. Simplicity is a staple of the action genre, and all of these films drive it home with brilliance. Conversely, the most introspective movies, like Birdman or Moon, (two other modern classics) almost never prominently feature action. But Inception’s defiance of genre is another mark of its brilliance. No matter what we were expecting, a wrenching drama, a fun romp of an action flick, or a white-nail thriller, we got it, with much more shaken in. I had trouble finding my car as I left the theater the night I first saw it. My brow knitted and sore, I stumbled around the AMC parking lot for a while, trying to remind myself that I needed to go home, that I couldn’t actually stay here and ponder and process until dawn. What had just happened? What had I just witnessed? I felt like the only survivor of a plane crash. I wanted to go back in and see it again, if only to assure myself that it had happened. Inception simply affected us. It moved us like few (or no) other movies have. We studied it. We wrote theories of allegory and structure. We spit out a plethora of memes. We still do. We have judged both Nolan films since, The Dark Knight Rises and Interstellar, against it and somehow found them wanting. Think about that. Try to imagine seeing Interstallar before Inception. How would you have judged it? Many found it a bit lacking, I suspect, because it didn’t share Inception’s complexity or pacing. We may never see another film like it again. I hope we do. Nolan still has a long career ahead of him, and younger directors like Rian Johnson (The Brothers Bloom, Looper) and Shane Carruth (Primer, Upstream Color) could eventually succeed him. But we need to learn. We need to study films like Inception until we discover what makes them move us so efficiently. Then we need to apply what we learn to our own stories. This entry was posted in On Writing and tagged Christopher Nolan, Film, Film History, Inception, Leonardo DiCaprio, Storytelling. Bookmark the permalink. Fantastic analysis. Now two things must happen: I need to go write something, and I need to watch Inception again. So great, Andy! I miss both your analyses of movies and your writing. Really like what you had to say here. Glad you enjoyed it. There’s more stuff coming down the pipe. Great article. Just re-watched this two weeks ago. Most fans can sing Nolan’s praises — but you sir, made it operatic. Great details on why this movie stands up so well. Love the bit about “an attack on a military snow base to rival the greatest G. I. Joe fantasies of the average 10-year-old boy, a sudden grenade launcher, a Humvee on snow treads”. My inner child went bananas. It really was so cool.